Larson 29' Cabrio 2007 | Hooah! 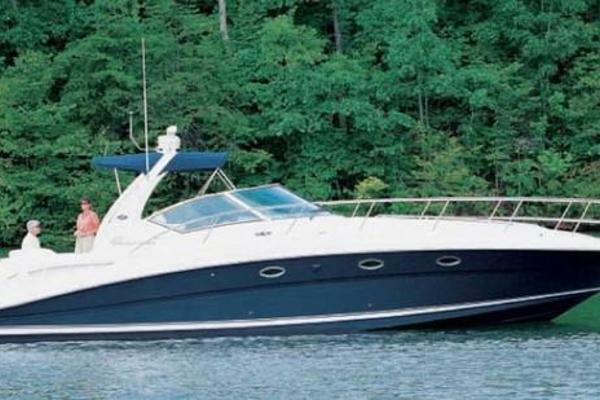 29' Larson 290 Cabrio 2007 Hooah! One owner only 275 hours engines and 96 hours on genset with all service records and original paperwork. This express has roomy accommodations. Built with Larson's famous Duo DeltaConic hull which is a notched bottom designed to improve lift and top end performance. With her wide beam she makes for a very comfortable below deck sleeping quarters. With her twin Volvo 5.0 GXI motors you can expect to top out over 40+ knots! 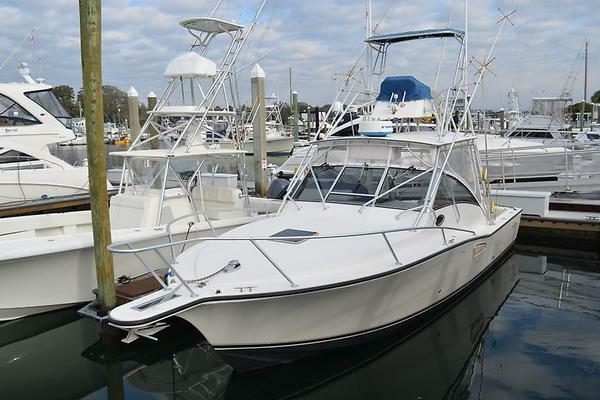 West Florida Yachts would love to guide you through a personal showing of this 29' Larson 290 Cabrio 2007. This yacht for sale is located in Sebastian, Florida and priced at $45,900. For a showing please contact us by filling out the form on this page and we will get back to you shortly! Twin 270 HP Volvo 5.0 GXI with 275 hours of run time and Maxwell windlass, VHF, Air Conditioning and reverse cycle heat. Bimini and cockpit enclosure. Full galley with refrigeration, microwave, stove and freshwater sink. Large head and shower enclosure. Mid cabin model. Spacious settee forward, good upholstery. Great cabin and cockpit layout. Large swim platform.